The HTC Touch Pro2 is the latest touchscreen marvel from HTC, a company that's currently bathing in the glory of a good run of fantastic handsets. 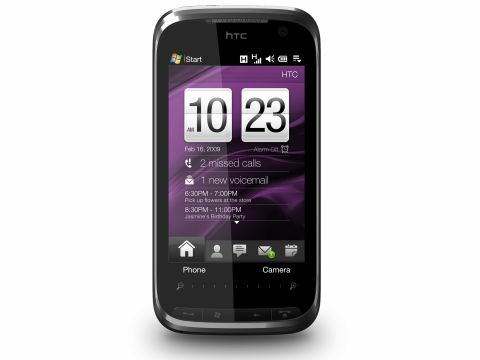 The last couple of Windows Mobile devices from HTC have been straightforward updates of its premier models – the style-conscious Diamond2 and now the business-centred HTC Touch Pro2 with its slide-out QWERTY keyboard. HTC has been impressively consistent in moving its handsets forward, with ongoing improvements to its rather nifty TouchFLO 3D interface and other innovations. The Pro2 is considerably larger and heavier than its predecessor, but it also has a bigger and better tilting touch screen as well as a much improved interface, and a new conference call facility which HTC has named 'Straight Talk'. It's most definitely not cheap though– HTC clearly sees this as a high-end business device and for the most part, it lives up to its promises, delivering on messaging, connectivity, internet use and media playback, though as usual with HTC, the 3.2 megapixel camera leaves much to be desired.